How may we provide meaningful, timely feedback to students in our largest courses? Come join your peers as we discuss strategies for providing formative feedback frequently and quickly while balancing a busy workload. Students increasingly struggle to cobble together the financial aid and support required to graduate from college. Join Denise Bartell, Jon Shelton, and Alisa Lamal for a frank discussion of the growing crisis, and possible solutions offered in Sara Goldrick-Rab’s award-winning book: Paying the Price. Dr. Alison Staudinger and Bekky Vrabel will lead a book discussion on Enhancing Campus Capacity for Leadership by Adrianna J. Kezar and Jamie Lester. UPDATE! The CATL Game Night for Mon. 2/19 has been moved to 2/26 due to weather. 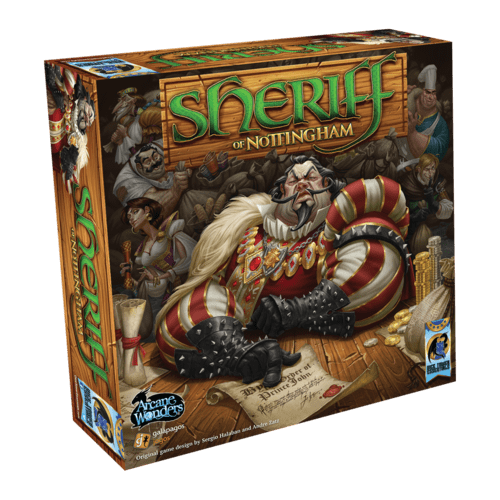 CATL’s first game night game will be Sheriff of Nottingham by Sérgio Halaban & André Zatz published by Arcane Wonders. Players are merchants attempting to turn a profit by bringing their goods (and contraband) to market! It’s an easy-to-learn game of bribery, persuasion, and deceit. Monday, February 26 at 7:00PM at St Brendan’s Inn in Green Bay.